/ Modified aug 8, 2018 4:35 p.m.
Arizona’s primary election is fast approaching and there is a crowded field seeking the Republican nomination to run for U.S. Senate. The national union representing U.S. Border Patrol agents has thrown its support behind Congresswoman Martha McSally. McSally represents a moderate congressional district in Southern Arizona. She has been accused of cozying up to President Donald Trump to position herself further to the right in a Republican primary field that includes staunch conservatives like Kelli Ward and former Maricopa County Sheriff Joe Arpaio. Trump was endorsed by the national Border Patrol union during primary season. 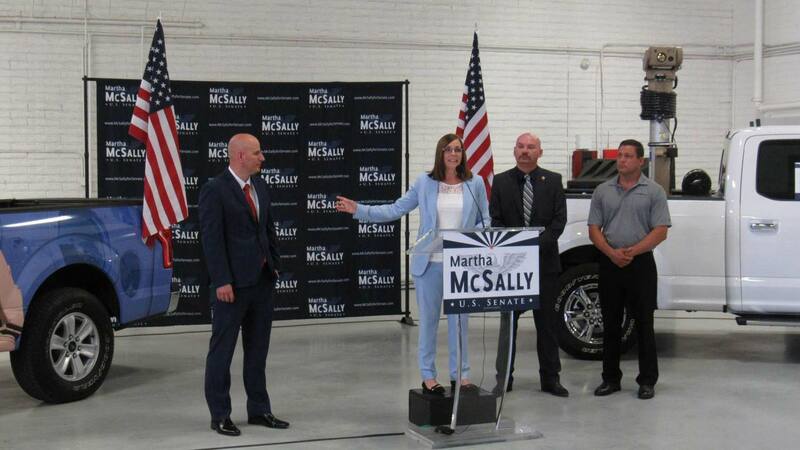 On Wednesday, inside a hangar at the Scottsdale airport, so was McSally. McSally, Ward and Arpaio have all supported Trump’s call to build a wall on the border with Mexico.